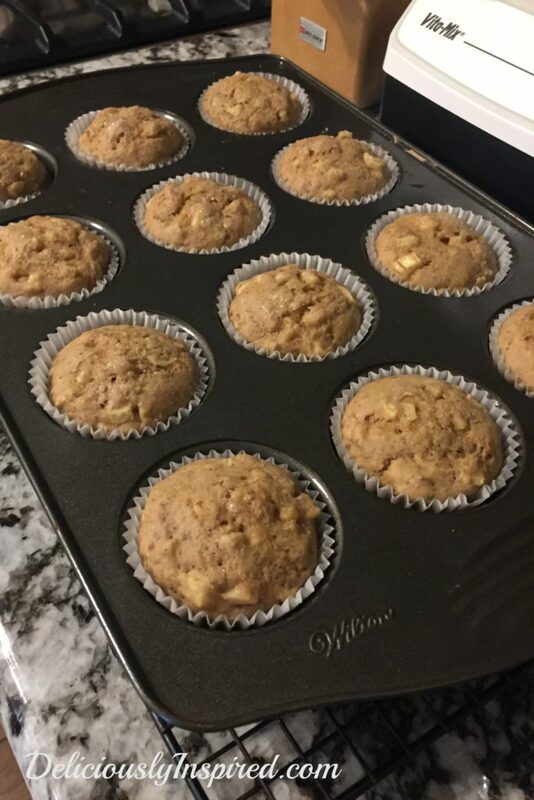 These muffins are packed with yummy ingredients and go together quickly once you have your 1 cup of fresh apples, diced. These muffins were inspired from a recipe from one of my favorite cookbooks. I added a little almond flour and used caramel stevia. Preheat oven to 350 degrees. 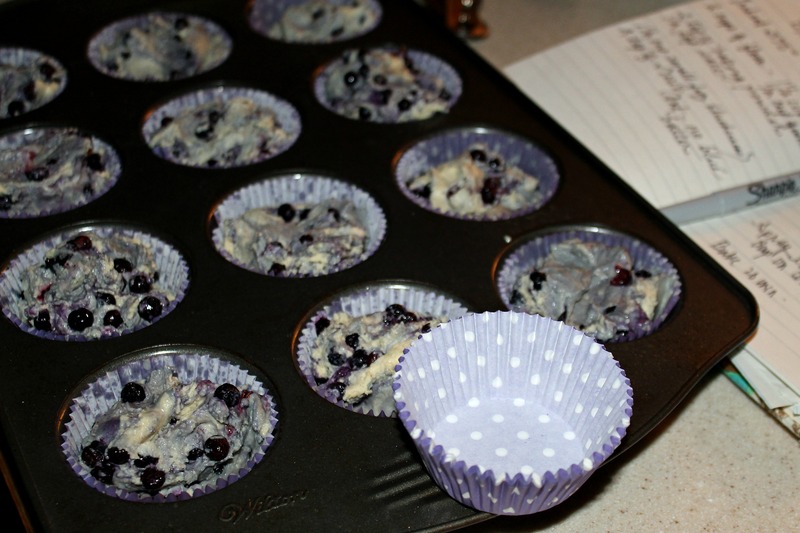 Place cupcake liners in muffin tin. Spray coconut cooking spray into each paper liner. Combine remaining ingredients in a larger bowl and stir. Mix until all ingredients are mixed well. Bake for 20 minutes or until a toothpick comes out clean. Cool on rack for 10 minutes before removing. 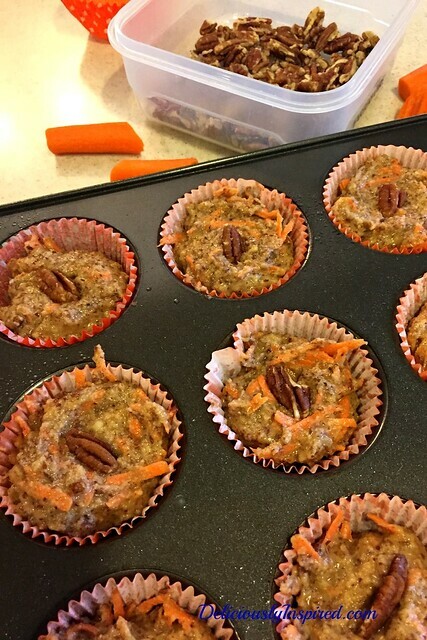 I’ve baked for over 40 years but I think one of the fascinating things I am learning as I build my skill in the kitchen is how incredible things can taste with healthier ingredients. 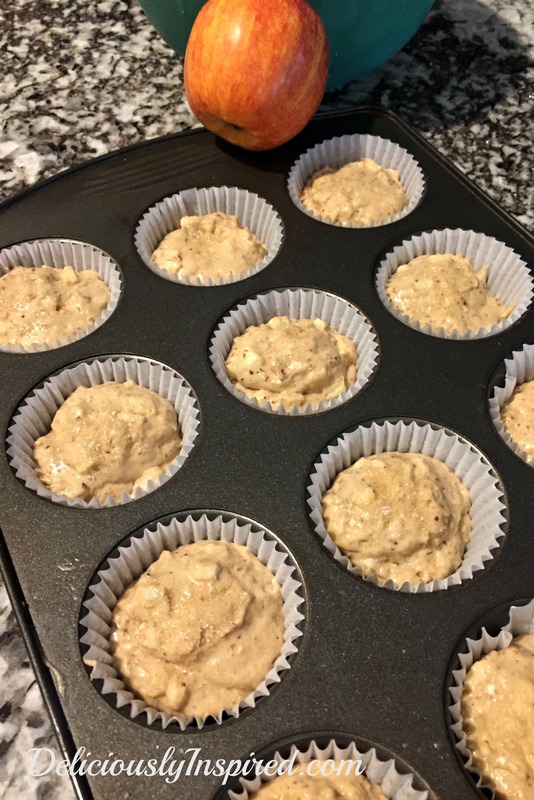 These yummy muffins are made with almond flour and natural sweeteners (or I used Fruit Sweet). 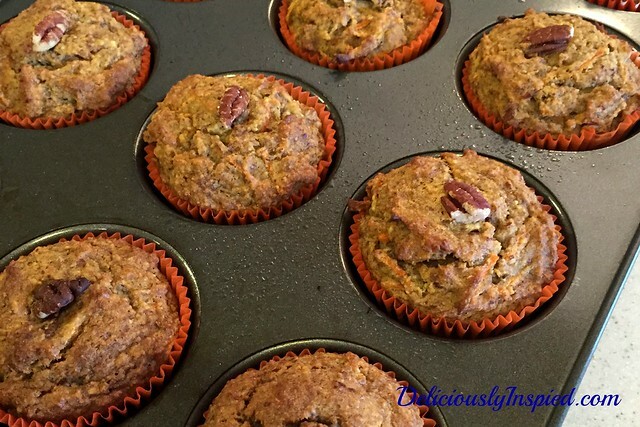 A delicious gluten free muffin that has a sneaky way of including vegetables. 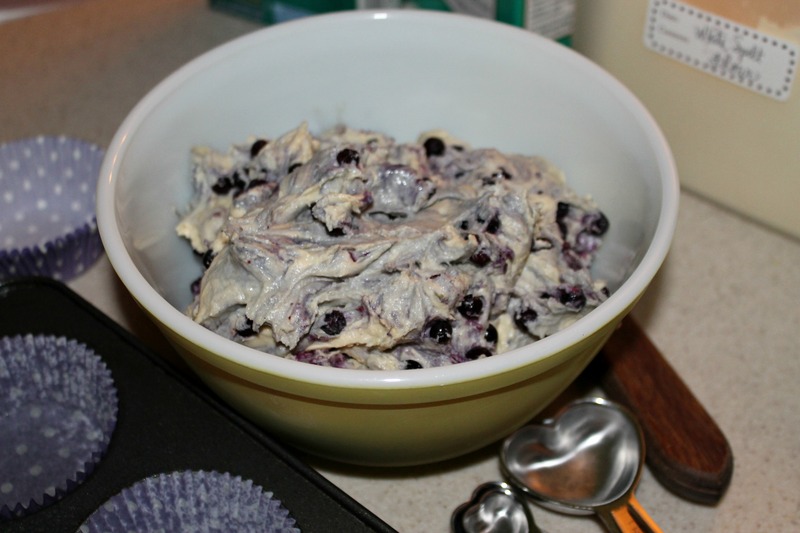 In a medium mixing bowl, whisk together the dry ingredients and set aside. In a smaller mixing bowl, whisk together the eggs, mashed banana, coconut oil and sweetener. 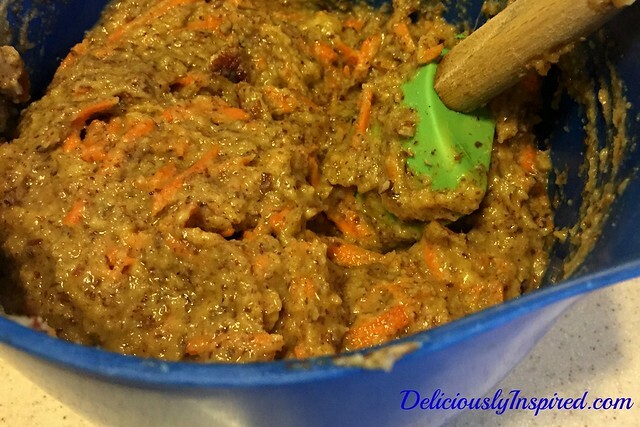 Stir in the shredded carrots and chopped pecans. Pour the wet ingredients into the dry and mix together. Scoop the batter by large spoonfuls into prepared pan. 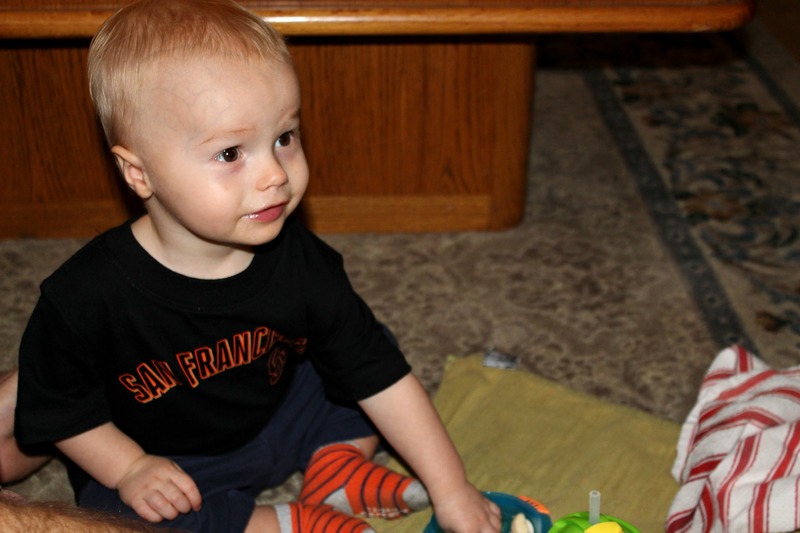 We recently had our then 17-month-old grandson (Caden) over for his first sleepover. 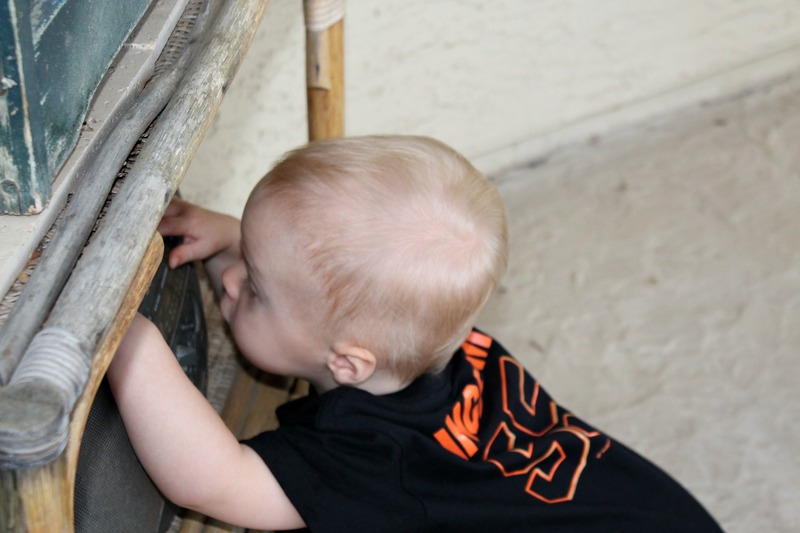 The house had been prepped – pool fence up – check, 2 rooms rearranged (which was a project I’d had on my list for awhile) to make way for the donated crib – check, outlet covers in (okay we missed a few but on the final walkthrough by Josh (Caden’s daddy) – check: we were good to go. Our little sweetie pie loves blueberries so I made sure to have both fresh and frozen at the house. 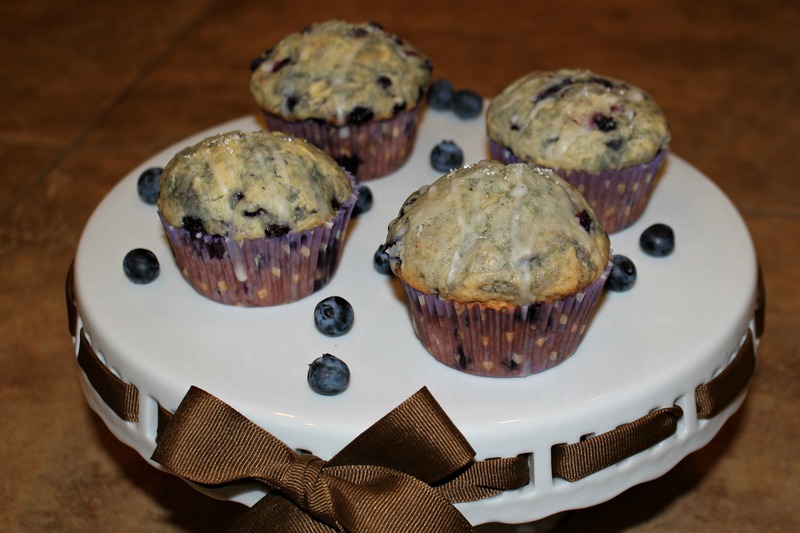 I used the frozen blueberries to create the pictured muffin that has a fresh citrus taste – both he and Grandpa enjoyed them – actually we all enjoyed them. Our time together was filled with smiles, hugs, good food, endless climbing up and down the stairs, a trip to the park and also the reminder of how much energy caring for a letting one takes. Caden enjoying a bowl of fresh blueberries while watching Elmo. 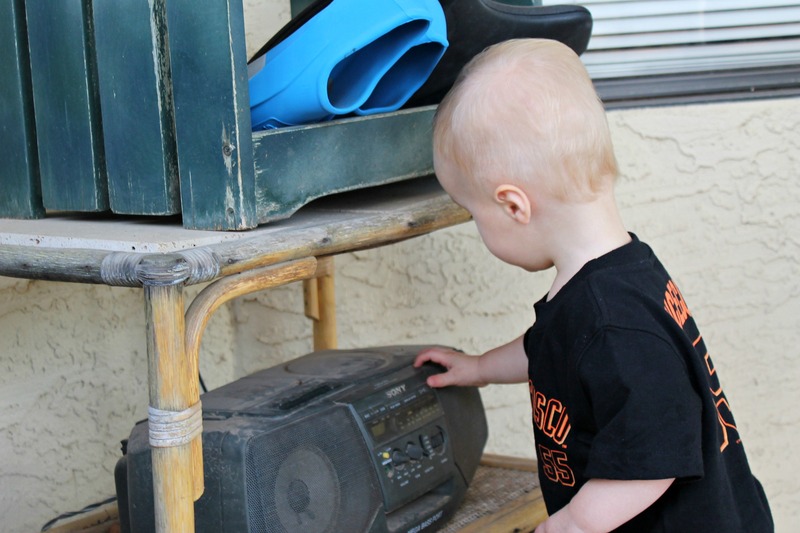 One of Caden’s favorite things was to play with the buttons on an old CD player I keep out back. Hmmm! Let me get a closer look at this. 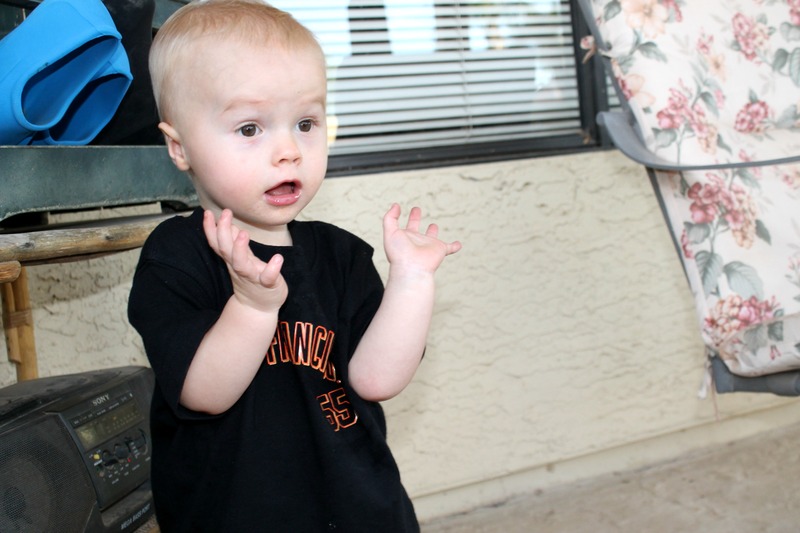 He kept trying to figure out why the music would start and then stop when certain buttons were pushed. 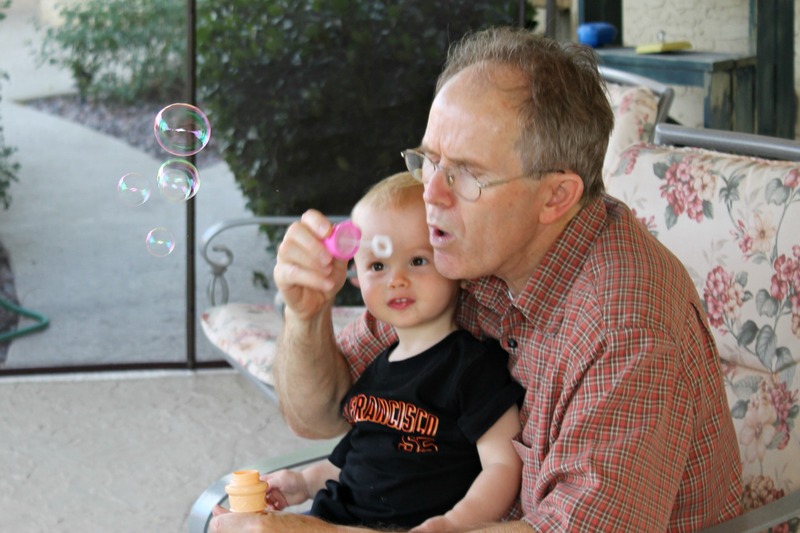 Bubbles with Grandpa – Does it get better than that? 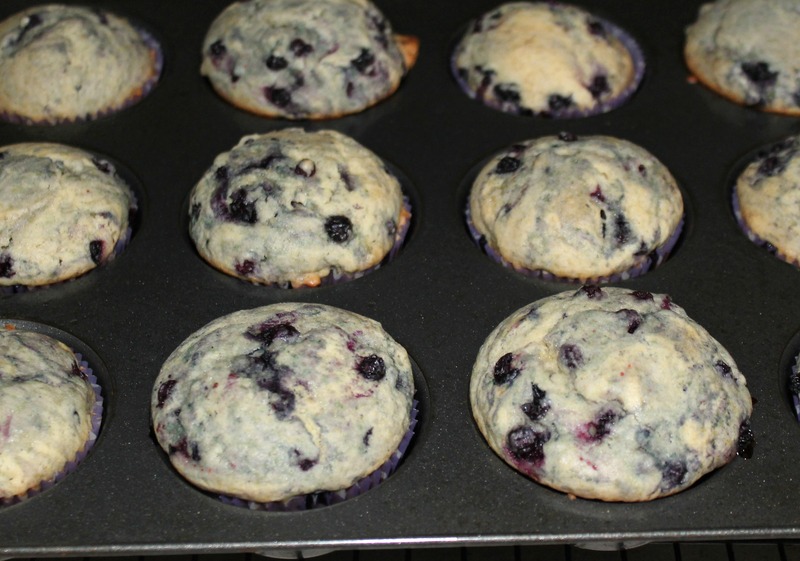 Place muffin liners in pan and spray lightly with nonstick spray. Alternate the dry ingredients with the milk. Fill liners 3/4 full. Gently tap pan on the counter. Bake for 20 minutes or until lightly golden and a toothpick inserted comes out clean. Mix milk into sugar a little at a time until desired consistency. Drizzle on top of cooled muffins. I would love to hear from you – leave me a post on anything that strikes your fancy about blueberries, grandparents, raising little ones, etc.